In my attempt to share knowledge I would like to show you a very simple, framework agnostic, way of building highly responsive re-usable components for mobile ready websites. Mobile in this age is a default, and sorry but if you don't think that way you are already out of the game. Widget based architecture is a concept, or a set of very simplistic rules that make all the difference. And the really cool part is that full responsiveness can be achieved using only CSS and HTML. Without the use of, learning curve heavy, third party APIs. A widget is always 100% width, it doesn't matter if it is dropped in a 100px wide or a 100000px wide place. It will always center it self and gracefully addapt to the provided width. (Who controls the width then?) 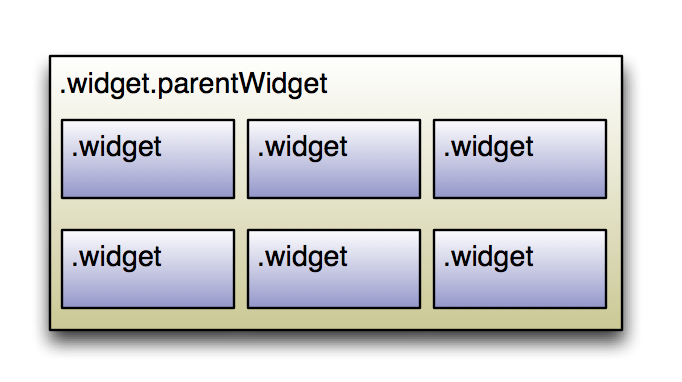 A widget may have children widgets, and as he knows what kind of children he has, the parent widget will override the percentage width of it's children. This base structure allows you to place any widget wherever you want, they will always adapt. We can then iterate on it by having each widget as an atomic component that accepts a view model. Each view model containing the data to populate the widget, allowing the base webpage to not really care what kind or what order of widgets it is receiving. But that is complex enough to build another blog post, so I'll leave it for later.